Month 3 - We are already on March!! What have you accomplished this year in real life or on Etsy?? Have you followed your New Year's resolutions? What are your plans for the rest of 2009? I've been thinking about this topic and planned to blog about it on my own. Even better that it's a Blog Carnival topic. I've been doing pretty well with this. Keep on going. *Expand the line of items I make for knitters. Good so far. 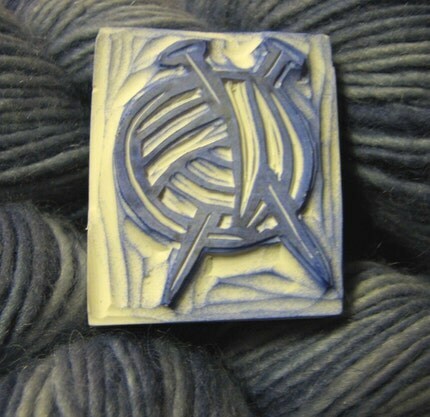 I created a line of knitting-related rubber stamps. Still need to do more. What's on the drawing board? Covered tape measures, circular needle holders, more stitch markers, a few more rubber stamps. 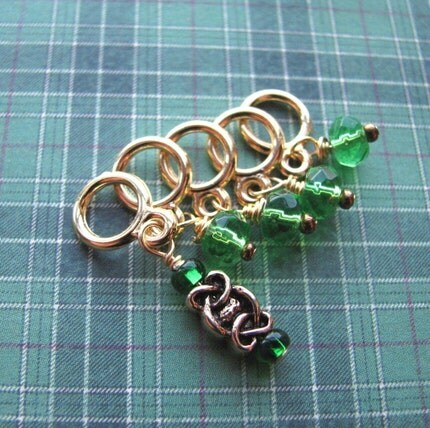 *Once I have the knitting items added to the shop, maybe do a little advertising on Ravelry? Not yet for Ravelry. However I did a different kind of advertising to knitters. I contributed to the PhatFibers boxes for February and will send in my March & April contributions on Monday. So I guess I've done this... or a variation of this. Done. Haven't sent out my first donation but I'm planning to do it at the end of each quarter. 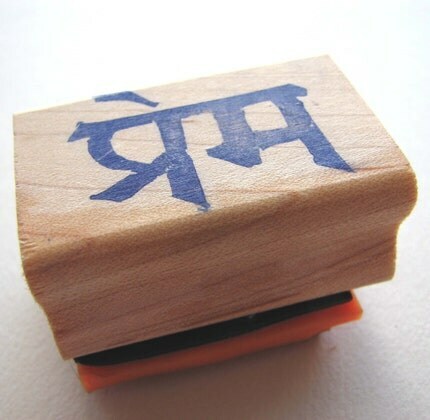 *Keep expanding the line of hand-carved rubber stamps. I have made more in addition to the knitting stamps. And I need to keep on going. They're very popular and fun to make! I've been checking it regularly. I've made a few. I want to make more. *I'm making a limited-edition 'zine for a swap and will have some for sale in the shop. This is almost done. I expect to list it sometime next week or maybe the week after. I added a "Goods for Knitters" category but decided not to mix it up more than that. I took an informal survey and discovered that folks like straight-forward categories and are irked by squishy ones. So no squishy categories for me! *Change up my banner and avatar regularly. I've not been doing this on a regular basis. Bad Etsian. *I'm thinking of trying 1000Markets, ArtFire, and FunkyFinds. I haven't gotten very far except to buy a shop on ArtFire. Perhaps my biggest failing on the resolution list. *My art/craft room desperately needs cleaning and reorganization. Also not done. But needed. Sometime soon, I promise. Wow! So ambitious, and you've gotten results too. Very impressive. I'm overwhelmed, I better lie down. You are doing really well on your resolutions! I'm impressed. I haven't hit nearly as many as you have. Great job. Very impressed here, I have been ignoring my Etsy shop and blog of late and now I am determined to do a bit better. Very inspiring. Mine was to be more organized and I need to take some time to do that soon. Love the knitting stamp. Wow. You've been busy good for you. At this rate you'll reach all your goals. Good luck.